These are some beautiful layouts made by Linda that I have to show you :) Click on the previews to visit Linda's blog for more great goodies!! 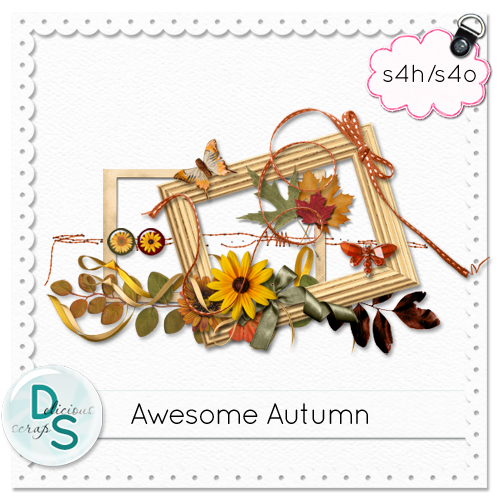 The kit used is called "Awesome Autumn" - click on the image to get it. Here is the free Alpha. Just a basic acrylic alpha - preshadowed. Beautiful kit! And thank you for the alpha freebie! Thank you for sharing this alpha! Thank you so much for this Freebie. I want to let you know that I posted a link to your blog in CBH Digital Scrapbooking Freebies, under the Page 2 post on Oct. 19, 2009. Thanks again. I love this alfa. So simple! Simple is the best. Thank you very much. ViVre.